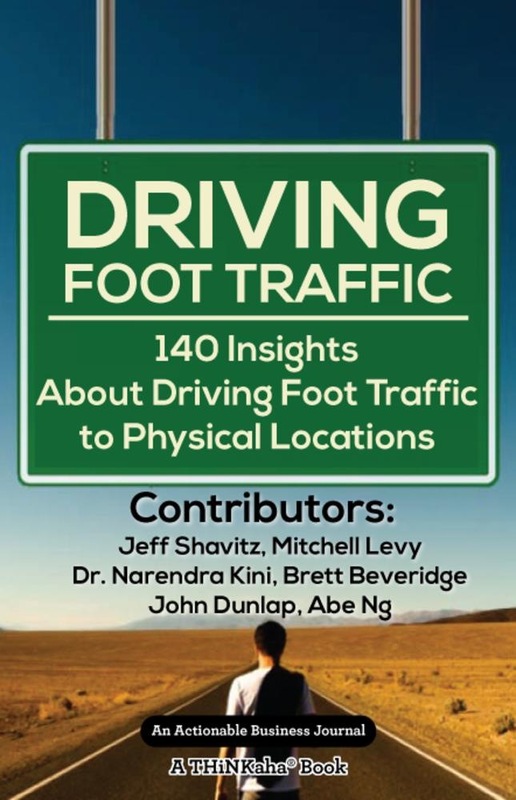 Driving Foot Traffic is a compilation of AhaMessages™ from six thought leaders. In this digital era, where online shopping has gained popularity as people find it more convenient to shop from the comfort of their homes, there's a key question that arises: Is there still a need to drive foot traffic to a physical location? The quick answer is yes! Physical locations allow businesses to provide real, face-to-face customer experiences that drive loyalty and make the customer want to come back. As you read this book, you will learn that physical locations are just a part of the whole business mix. Other factors that apply regardless of whether there are physical locations or not include brand building, maintaining customer relationships, delivering excellent customer experience, and advertising. Understanding each element will contribute to the success of your business. Driving Foot Traffic is part of the THiNKaha series, whose slim and handy books contain 140 well-thought-out AhaMessages. Increase your influence by picking up the Aha Amplifier to easily share quotes on Twitter, Facebook, LinkedIn, and Google+. 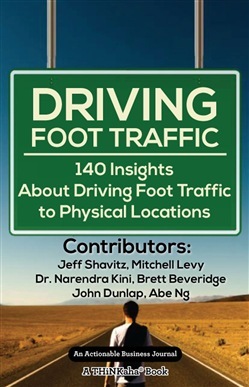 Acquista Driving Foot Traffic in Epub: dopo aver letto l’ebook Driving Foot Traffic di Levy, Mitchell, Jeff, Shavitz ti invitiamo a lasciarci una Recensione qui sotto: sarà utile agli utenti che non abbiano ancora letto questo libro e che vogliano avere delle opinioni altrui. L’opinione su di un libro è molto soggettiva e per questo leggere eventuali recensioni negative non ci dovrà frenare dall’acquisto, anzi dovrà spingerci ad acquistare il libro in fretta per poter dire la nostra ed eventualmente smentire quanto commentato da altri, contribuendo ad arricchire più possibile i commenti e dare sempre più spunti di confronto al pubblico online.